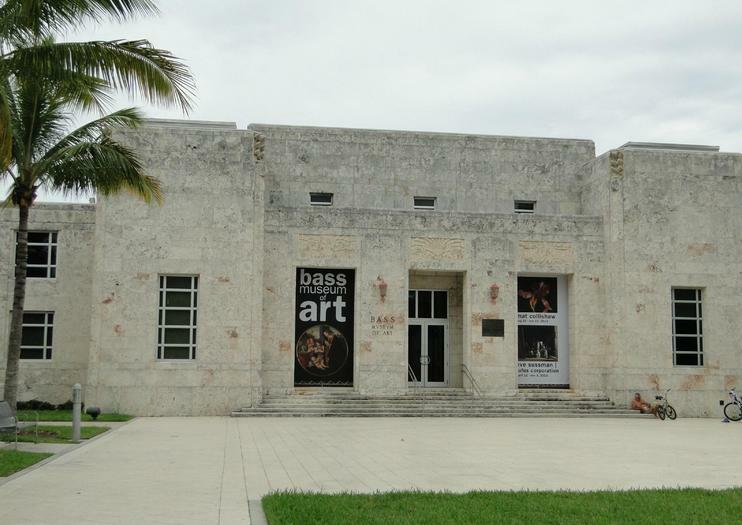 The Bass Museum of Art in Miami Beach, founded in 1963, specializes in global art, primarily from the Renaissance period on. The museum is located in the 1930s Miami Beach Public Library and Art Center and includes traveling exhibitions from national and international collections to contribute to the cultural activities available in the area. A large expansion took place between 1998 and 2002, more than doubling its size from 15,000 to 35,000 square feet, and more expansions are planned. There is a year-round calendar of contemporary exhibitions, artists’ projects, educational programs, lectures, workshops and concerts at the museum. Don’t miss the Art History Lab, a spot that mixes different works of art from various eras in art history to create visual and thematic relationships between them. Pieces are displayed in a “salon style” format as well, so visitors can perhaps also consider the connections between art created in different countries at different points in time. The Bass Museum of Art is open Wednesday through Sunday from noon until 5pm. On Friday night, the museum stays open until 9pm. The site is located at 2100 Collins Avenue, between 21st and 22nd streets. Photos are permitted in most exhibitions, but ask the front desk personnel to verify which are approved. Hours: Wed-Sun from noon until 5pm. Friday nights open until 9pm.